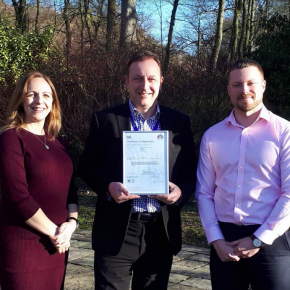 Lafarge Cement, part of leading construction materials supplier Aggregate Industries, has achieved BS EN ISO50001:2018 in Energy Management Systems, after demonstrating its ongoing commitment to energy efficiency. As the latest version of the standard for Energy Management Systems, BS EN ISO50001:2018 requires companies to show continuous improvement in reducing the energy intensity of their operations. The certification is formal recognition of Lafarge Cement’s high standard of energy governance, which has seen the business set up its own dedicated energy taskforce, overseen by Aggregate Industries’ executive committee. The taskforce has met specific targets that were laid out, which involved monitoring and verifying energy performance against measurable outcomes. Barry Hope, Director at Lafarge Cement, commented: “As a market-leader in cement production and supply, we are constantly looking at ways to use energy more efficiently, and have been quick off the mark to update our energy management systems (EnMS) in line with the new requirements of BS EN ISO50001:2018.